Jeremy Podeswa is an award-winning feature film and television director who has been nominated three times for the Emmy Award----for HBO’s Game of Thrones, Boardwalk Empire and The Pacific (for which he was also nominated for the Directors Guild of America Award). 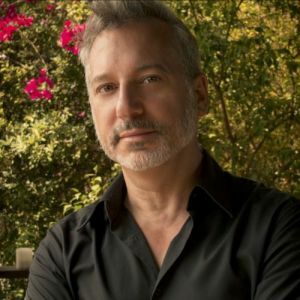 He has directed for many innovative cable television series and mini-series, including HBO’s True Detective, The Newsroom, True Blood, Rome, Six Feet Under and Carnivale; for Showtime, Homeland, Ray Donovan, The Borgias, The Tudors, Dexter, Weeds, The L Word and Queer as Folk; for AMC The Walking Dead and Rubicon; for F/X American Horror Story: Asylum and Coven, Tyrant, Nip/Tuck and The Riches; and for TNT the mini-series Into the West (produced by Steven Spielberg). Most recently, he completed directing both the premiere and finale episodes of Game of Thrones (Season 7); three episodes of Here and Now by Alan Ball for HBO; and two episodes of Handmaid’s Tale (season two) for MGM/HULU. He has also written and directed three award-winning feature films: Fugitive Pieces (Opening Night, Toronto International Film Festival); The Five Senses (Directors’ Fortnight, Cannes); and Eclipse (Berlin and Sundance Festivals). Other credits include the TV movie After the Harvest (Lifetime), starring Sam Shepard, winner of the Directors Guild of Canada Award for Best Direction.